Please RSVP if you plan to attend either of these meetings. I have a link to the handbook on the left side of my blog so you can link to it anytime. Credit card orders can be made by calling (706) 542-2657 or by faxing order information to (706) 542-0817. This video from the Peterson Farm Brothers of Kansas is soooooo goooood. Ag awareness is a big big deal and getting more important all the time. Positive things like this that will maybe educate folks a little as to the work and work ethic on farms are good, maybe silly but good. 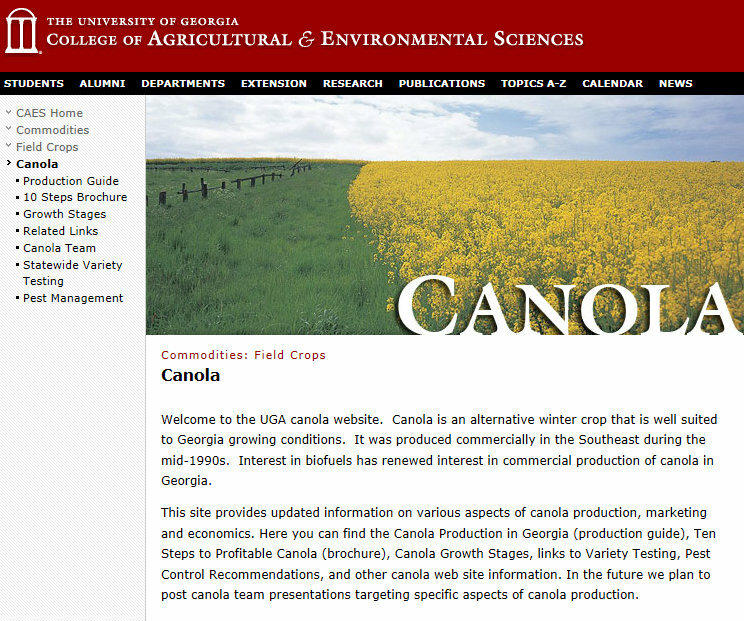 Canola is an oilseed we grow in winter. Here is Stephen Houston in his field in central Seminole county. He says the canola seems to be growing slowly due to the cold weather. Heat really affects the yield at blooming and pod set so a cool spring would better for good yields. 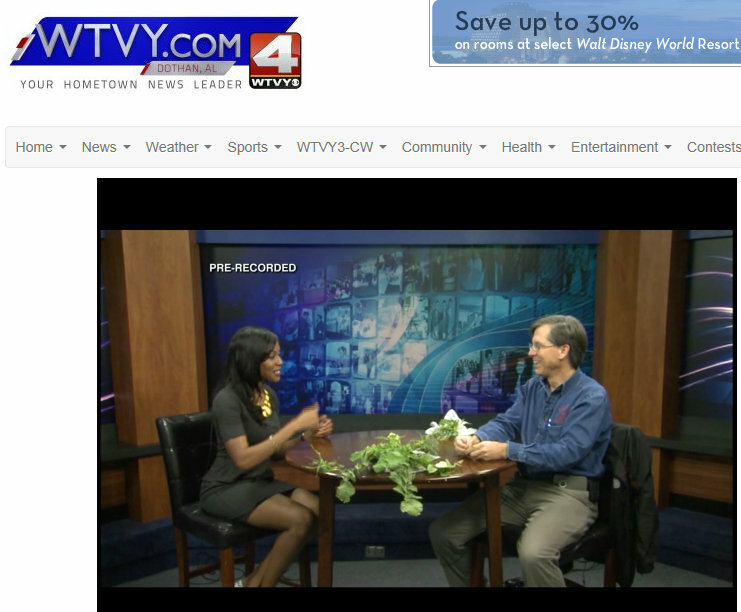 Focus on Ag, is a TV segment on WTVY channel 4 out of Dothan Alabama. I was on there this week talking about wheat, weeds, tillering and fertilization and even primrose control in strip till cotton fields. Click on this link in green to see the 4 minute program. Jimmy Laska of Dupont were some quick correct answerers. 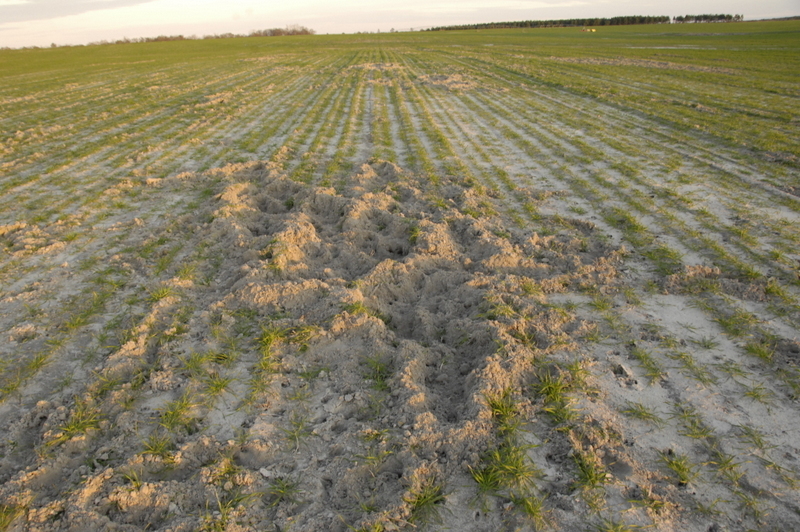 Some of this damage was very fresh, plants just dug up, and I got an eerie feeling out in this remote field by myself at sunset, I think they were watching for me to leave. The biological family that pigs belong to is the Suidae family. Is that why we sometimes call them by saying “Suu eee pig”? 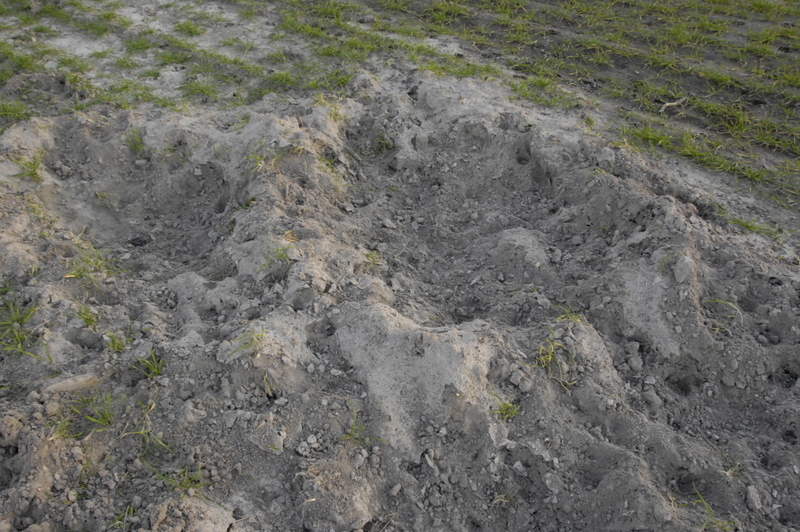 This had been a peanut field last summer and there were a few peanuts still around that it looked like the pigs were digging and eating. I remember old timers talking about getting their swine out of their pens and hogging off peanut fields after harvest. This week I want to ask you what these plants are and what is going on here with them? 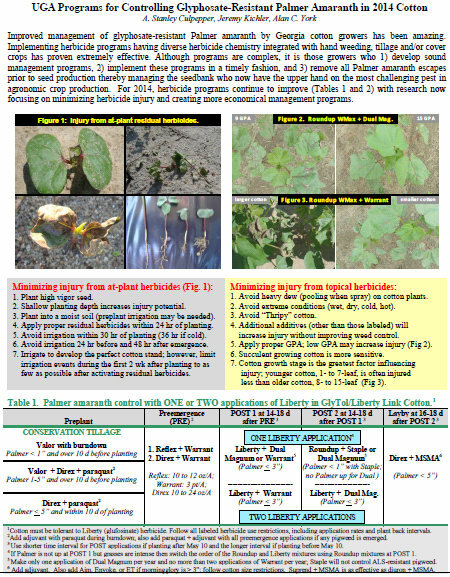 Dr. Eric Prostko, UGA Extension Weed Scientist reports that plants from a recently collected Palmer amaranth seed sample, submitted by Berrien County Georgia Extension Agent Eddie Beasley, have been confirmed to be resistant to atrazine (Figure 1). This population was also resistant to glyphosate but not Staple (pyrithiobac). 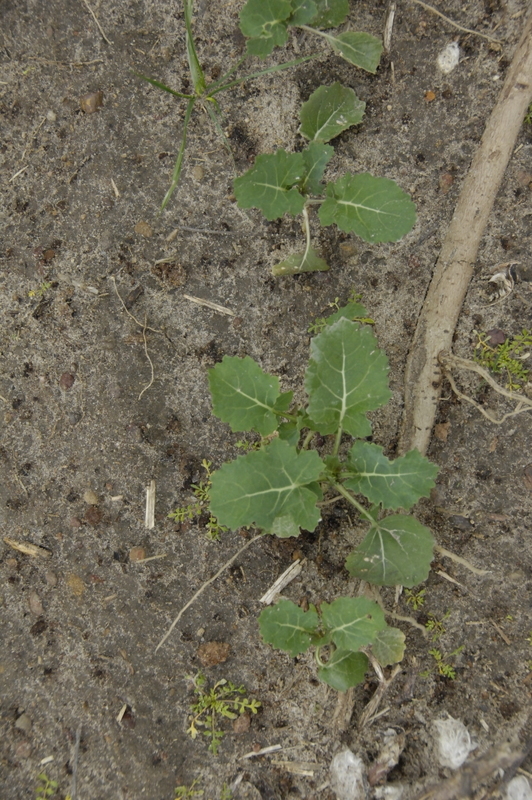 The discovery of atrazine-resistance (AR) in Berrien County is potentially very important since this seed sample was collected from a row-crop production region (i.e. not a dairy production region). As far as we can tell at this point, the field in question was continuous corn for at least 10 years. This would suggest that the AR evolved via selection pressure rather than pollen flow or physical seed movement. There are a couple of positives here. 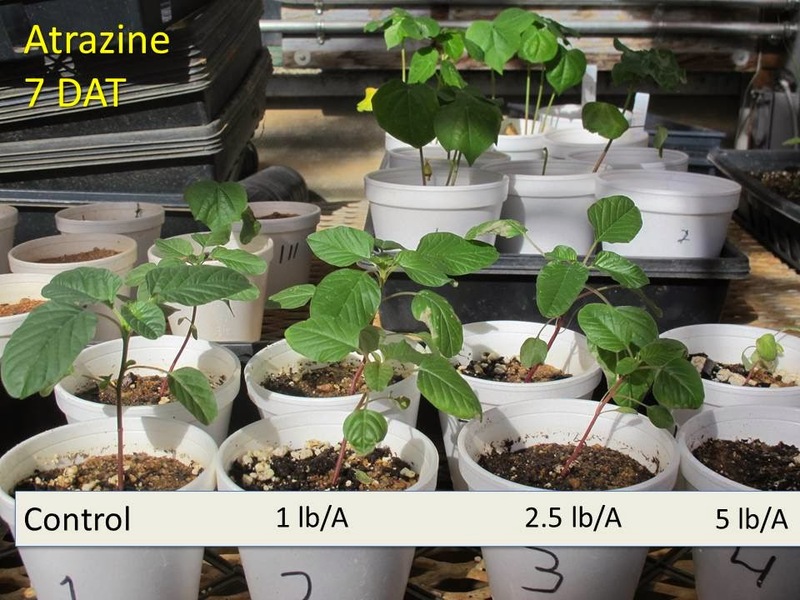 Firstly, 5 lbs/A ( same as 5 quarts of 4L) of atrazine controlled these plants which would indicate that the level of resistance is low (2X) in comparison to what we have observed with glyphosate (6-8X). Secondly, this population was controlled with Evik (ametryn), another member of the triazine herbicide family. This confirms results from our previous research which suggested that AR in Georgia is metabolism based rather than target-site based. How do we plan to address this issue? 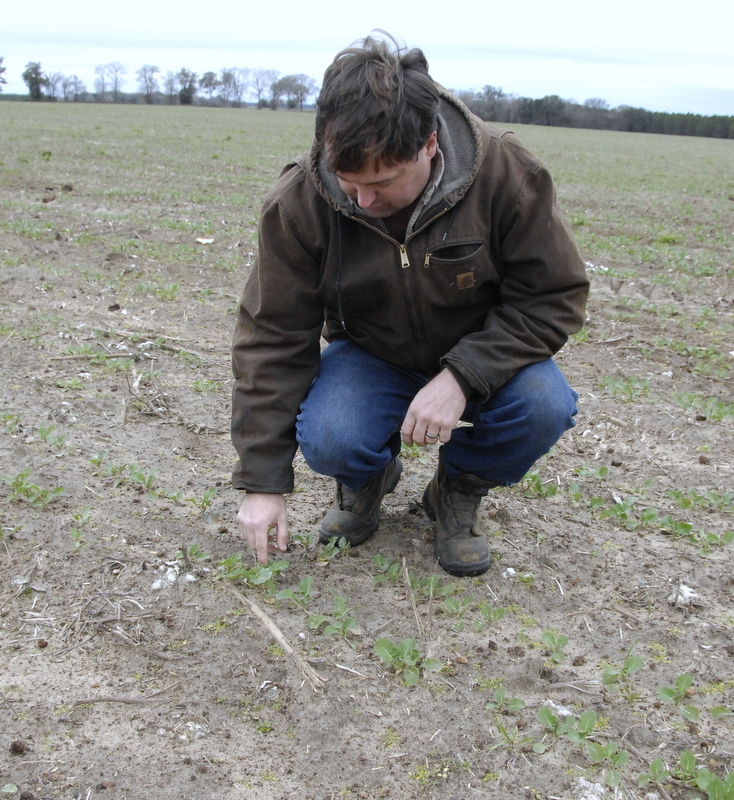 In 2013, Dr. Vencill and several County Extension Agents collected various weed seeds from numerous locations across Georgia. 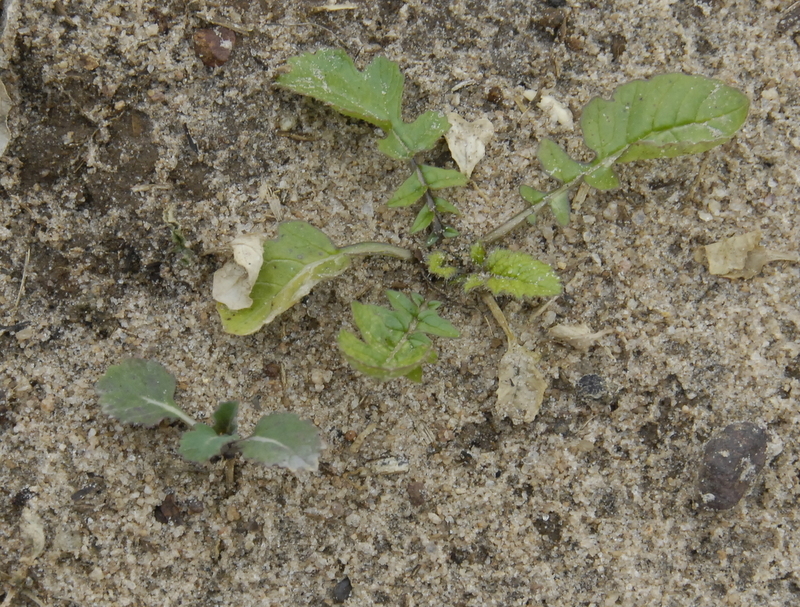 These weeds are now being screened for resistance to multiple herbicides, including atrazine. Also, we are planning to collect additional Palmer amaranth seed this summer in the major corn growing counties. The plants grown from these seed samples will be screened by Dr. Vencill for resistance to atrazine. Although this recent discovery is alarming, we do not think that it necessarily means that AR is widespread. Results from the above mentioned surveys will answer this question. At this point in time, growers using normal crop rotations likely need not worry about AR. Fortunately, numerous other herbicides can be used in field corn to effectively control Palmer amaranth (Armezon, Callisto, Capreno, Dual Magnum, Impact, Laudis, Liberty, Realm Q, Status, Warrant, and Zidua). 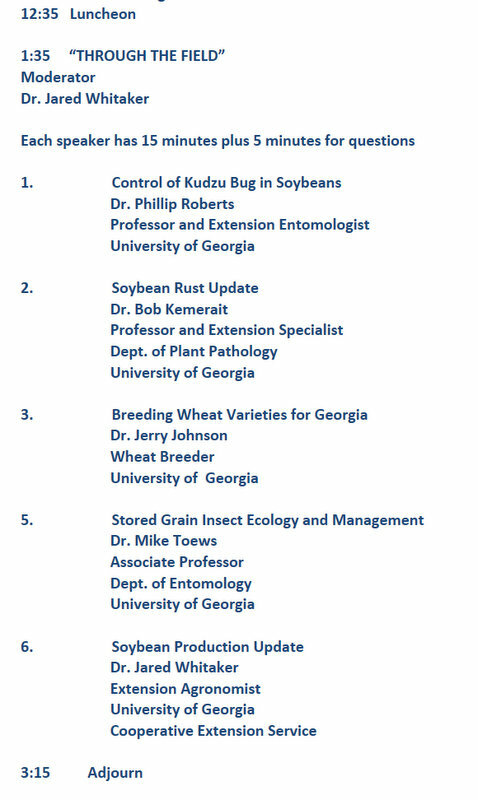 Refer to page 155 of the 2014 UGA Pest Control Handbook for specific recommendations regarding the control of GR-ALS-AR-Palmer amaranth in Georgia field corn (http://www.ent.uga.edu/pmh/Comm-Field-Corn.pdf). 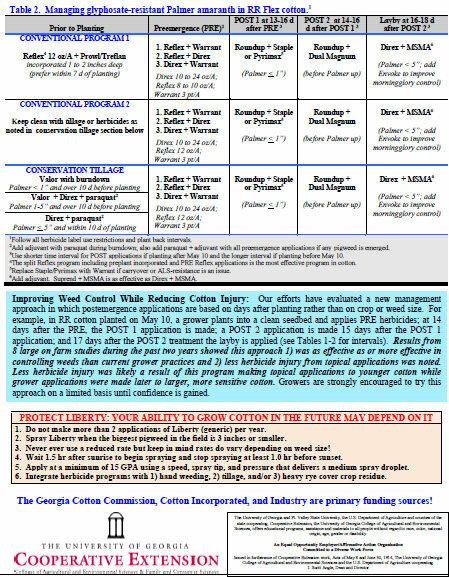 Dr. Culpepper, UGA Extension weed scientist, has come out with our new recommendations for 2014 pigweed control in cotton. Lots of good information here. Last week I had a photo of something growing on a limb in three forms. It’s lichens. Crustose (Crusty) is the flat form. Fructicose (shrubby) is the form that looks a little like deer antlers to me. The third form is Foliose (leafy) with wavy leaves. You can see all three in the photo below. “Lichens are composite, symbiotic organisms made up from members of as many as three biological kingdoms . 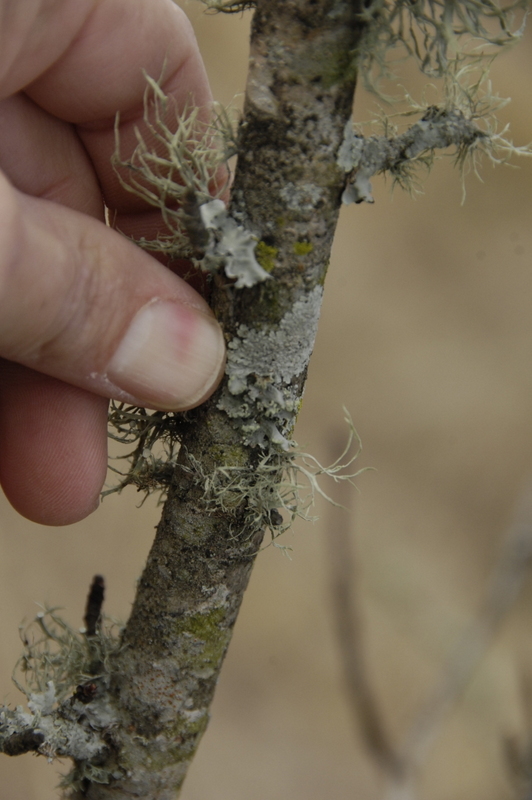 The lichen fungi cultivate partners that manufacture food by photosynthesis. Sometimes the partners are algae, other times cyanobacterium, formerly called blue-green algae. Some enterprising fungi exploit both at once. The alga or cyanobacterium converts sunlight and carbon dioxide to food for the lichen fungus and in return the lichen fungus protects the alga/cyanobacterium from drying out. Here’s this week’s question. 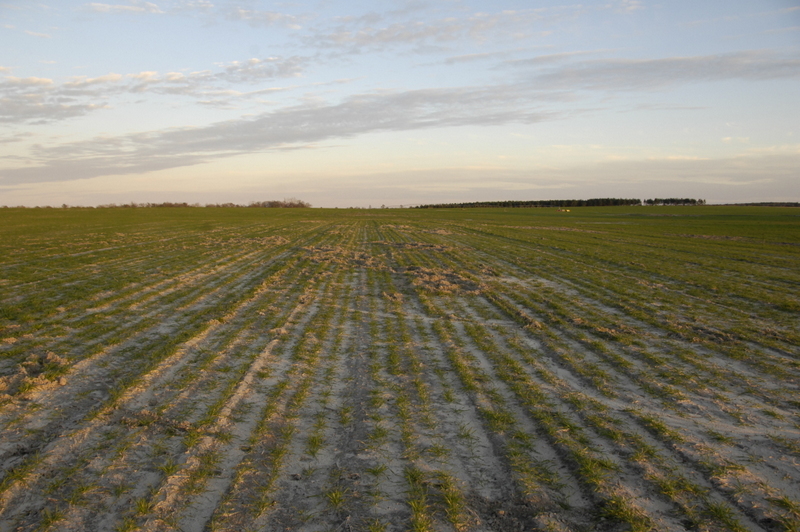 A wheat grower asked me to look at this nice field of wheat they are growing for grain harvest in May. I was surprised at what I saw in this field near the Chattahoochee river in southern Seminole County. What caused this and why? 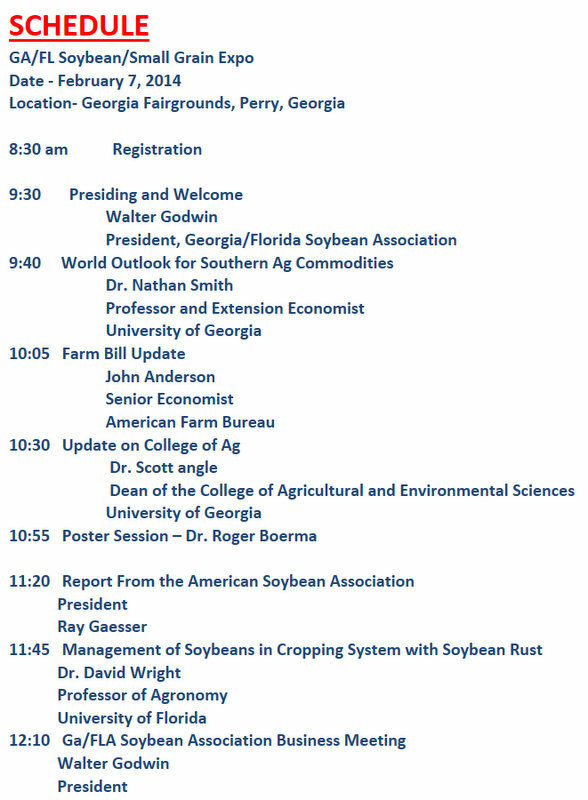 The Ga Fla Soybean / Small Grain Expo is coming up and it will be in Perry Georgia. Here’s the details.